I have sat down several times to give an update on our Hope Centre Children’s Home outreach last week in Nyangusu/Kilgoris, Kenya. Each time my heart and mind would swirl around and around I couldn’t get enough thoughts together for it to make sense. On Saturday someone posted a picture of a special needs orphan that came to the VBS last week named Ledama. When I saw the picture, the floodgates opened. And the tears did as well. From the minute he set foot on the Hope Centre property, he became everybody’s friend. And he literally lit up the whole place. I received an email after we returned home from the Principal of the Special Needs School telling me Ledama thinks we are still in Nyangusu at the Children’s Home and he wants to come see us. He’s loud. I mean he is very loud. He speaks a combination of Kisii, Masaai, Swahili and Ledama (his own language). And he loves unconditionally. He literally wrecked everybody on the team with love. On Saturday Pam asked me do I miss Kenya. The first world problems I hear some people speak about really grate on me. When I consider the orphans that slept in a bed for the first time last week at the Hope Centre. For those same orphans who ate meat for the first time last week because they had never been allowed to eat meat before. And for those orphans at Hope Centre who slept on a mattress instead of a dirt floor for the very first time last week. To all the rural pastors across Kenya, Uganda, Tanzania, Rwanda and Burundi who are students of the Revival Now Schools of Ministry and are anxiously awaiting our time together in August, I’m thinking of you all tonight as well. Yes, I miss all of them. Don’t misunderstand, I’m grateful to have a place to preach this week here in the United States. I’m grateful for a loving family, very thankful for my kids and grandkids. I’m very grateful I was born in the USA, have the truck and car I drive and I am very thankful for the little home Pam and I have. But tonight, I think about the nations of the world that are crying out for us to come…and for those nations who are crying out for us to come back. It wakes me up in the middle of the night. Literally. I hear the cries of pastors “David, please help us!” “Come teach us and preach the Word of revival in our churches…” The call of the harvest is real for us. The call of the nations is real. It’s calling to me and Pam loud and long. Last week sixteen brand new children entered the Hope Centre’s doors for the very first time. Not only were they the first children to stay in the home, for most of them this was the first time to sleep on their own mattress. For some, this was the first time they slept on a mattress at all. I realize that’s hard for us to wrap our brain around, but it’s truth. Many children in this world won’t even have a mattress to sleep on. Tonight, they will sleep on a sack, dirty clothes or on a simple dirt floor. We were also honored to be able to minister to ten or eleven orphans from the Poroko Special Needs School outside Kilgoris. These children, together with our orphans, laughed and played and ate and drank juice and laughed and played and ate together…and we all had the time of our lives. Nothing touches your heart like the laughter of children who have had nothing their entire lives have a day in which they can play and be free. And safe. Best of all several of the students accepted Jesus as their Lord. And that makes it all worth it. And some very special partners who wish to remain anonymous. The next part of Phase One will be to construct a kitchen/dining area. The estimated cost of this construction will be approximately $60,000. Anything you can give toward this will be greatly appreciated. 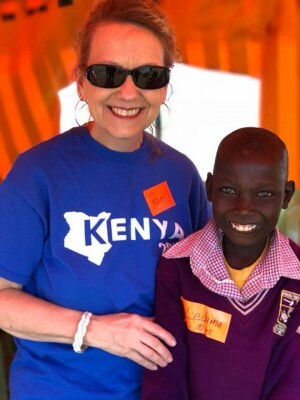 In August, Pam and I will lead a team back to Kenya for four weeks of intense ministry. We will lead the Malava School of Ministry, take part in the Malava Women’s Conference simultaneously with a children’s outreach in Kitale; the Kilgoris School of Ministry and the first Narok School of Ministry. $50 will sponsor one pastor or leader to attend the Schools of Ministry either in Malava, Kilgoris or Narok. We are very excited to be expanding the Schools of Ministry but that means our expenses will rise as well. These rural pastors will be coming from across Kenya, Uganda, Tanzania, Rwanda and Burundi to sit and learn from the Word of God. Will you help us help them be able to return to their field of labor full of the Word and anointing of the Holy Spirit? 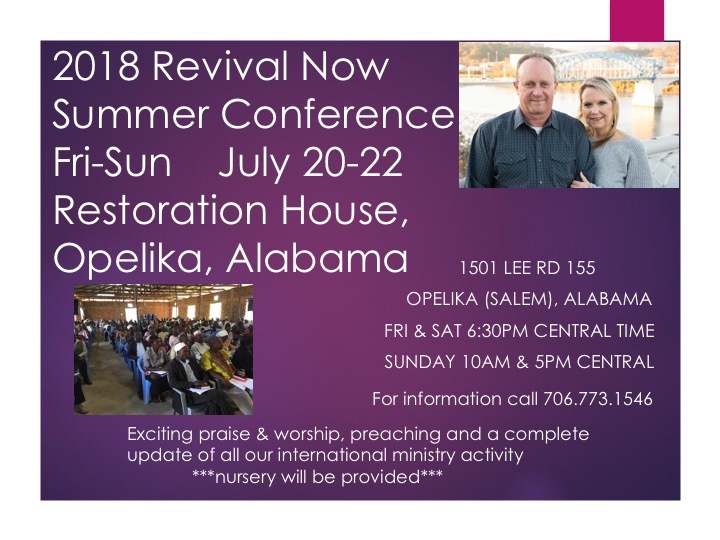 Also, make plans to join us in Opelika, Alabama at Restoration House Church for the 2018 Revival Now Summer Conference. 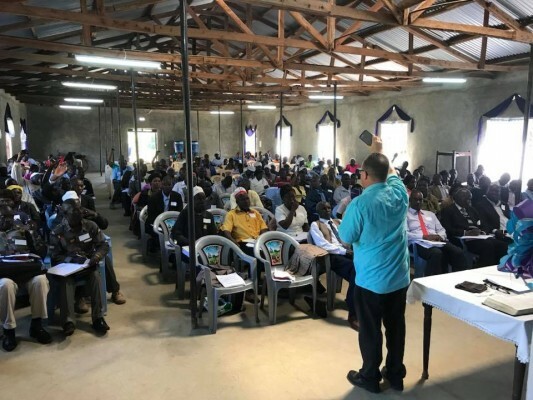 July 20-22, believers will gather from across the country as well as special guests from Kenya to give us a full update on the activities of Revival Now around the world. A nursery will be available and a love offering will be received for the international outreaches of Revival Now. Thank you for believing in and supporting mine & Pam’s call to the nations!